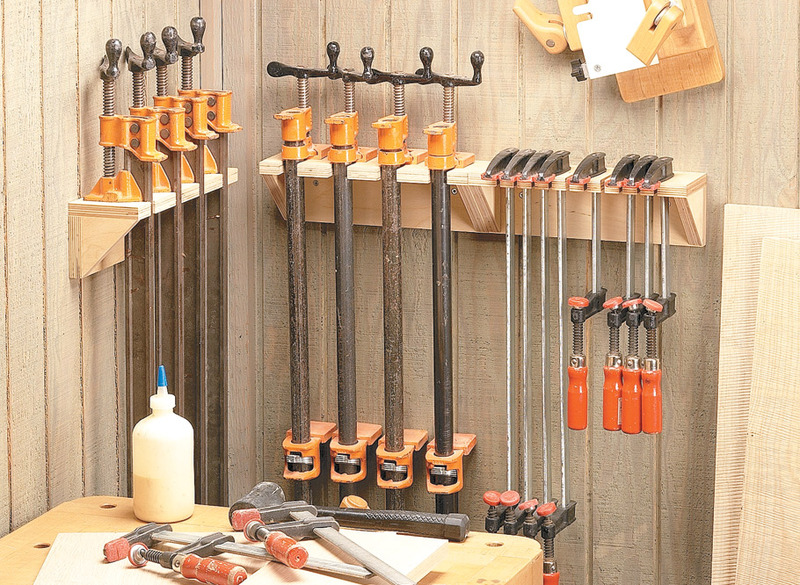 There’s an old saying that a woodworker can never have too many clamps. 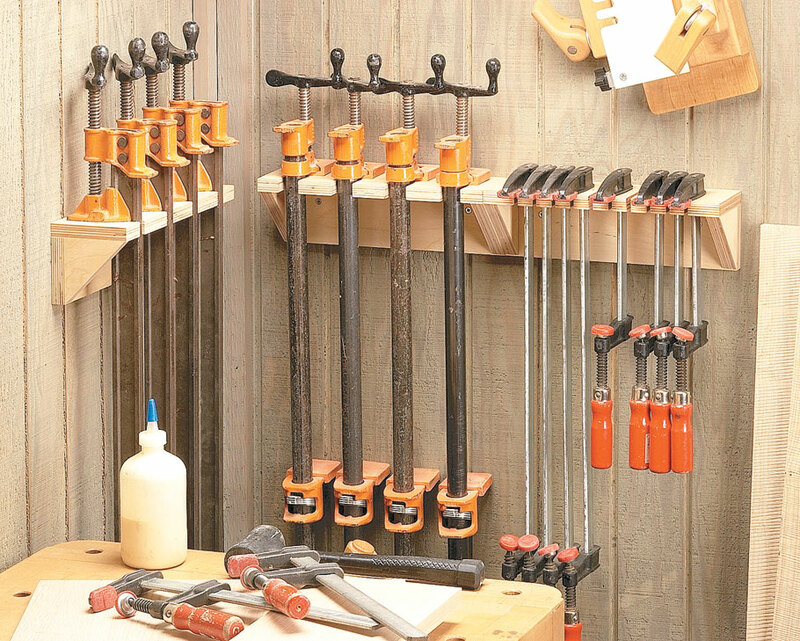 But if finding space for all those clamps is becoming an issue, maybe what you need is a better way to store and organize them. 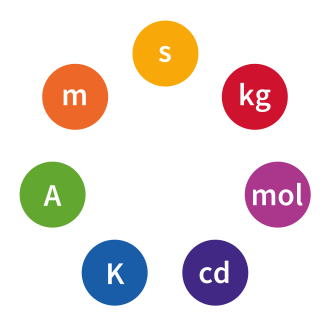 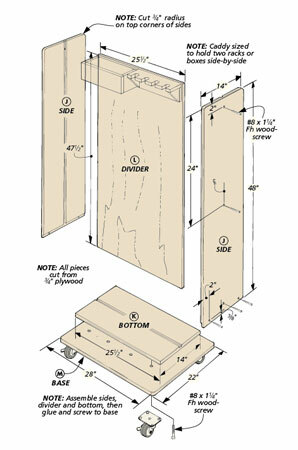 This rack system is easy to build, and easy to add on to. 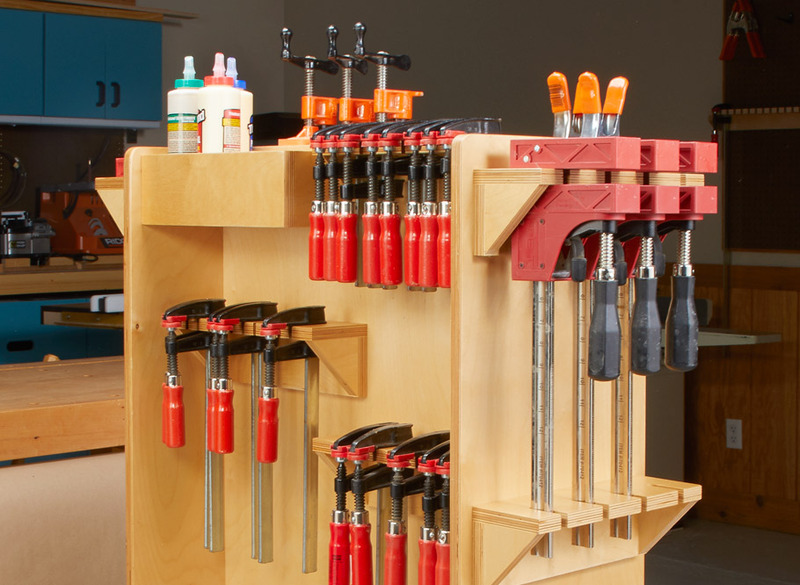 So, as you get more clamps you can quickly add more rack space. 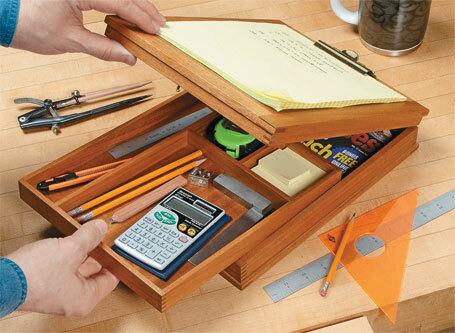 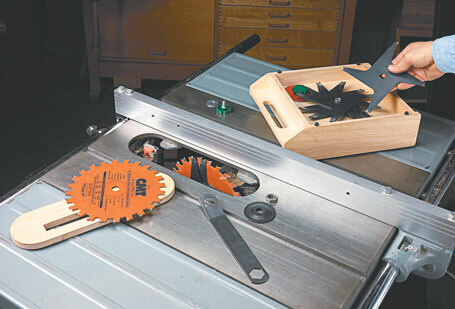 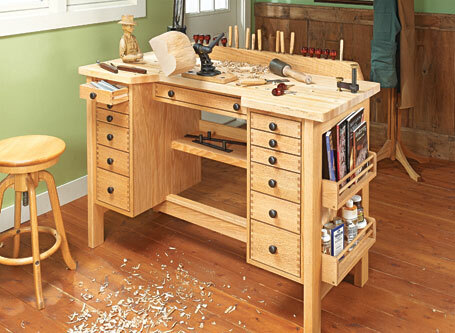 Finger joints add classic styling and strength to this hardworking, take-along shop desk.